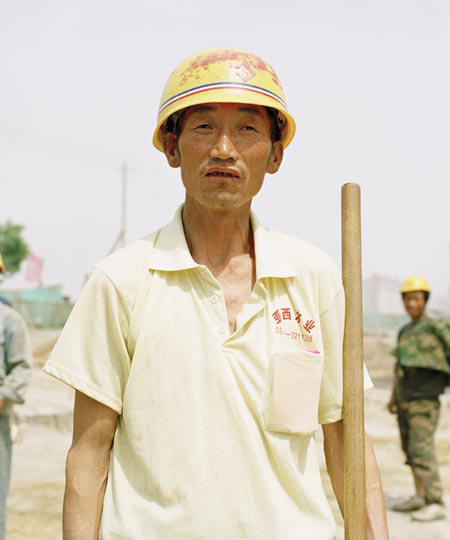 With the Beijing Olympics having become a major instrument to demonstrate the rise of the new superpower China, this series focuses on the people behind the spectacle: the poor migrant workers constructing the new Olympia. They are essential to the economic boom in China and yet, irrevocably on the losing end. 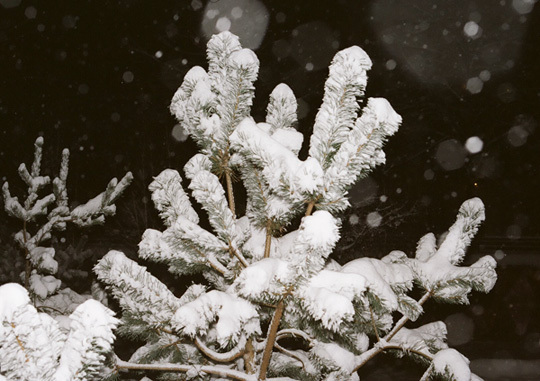 With spring lurking just around the corner, a final farewell to winter. Reality TV took over in Germany with the sucess of Popstars, a casting show training and selecting our supposed future pop starlets. At the first open casting, the applicants have 30 seconds to sing an excerpt a cappella to get into the second of five stages before appearing on the show. Parallel Lines (...That Should Have Never Crossed) is a personal photographic gesture on a general sense of unease in the wake of the financial crisis of 2008 when, for just a moment, the underlying power structures of our modern societies were exposed by the failure of the economic system to maintain itself. 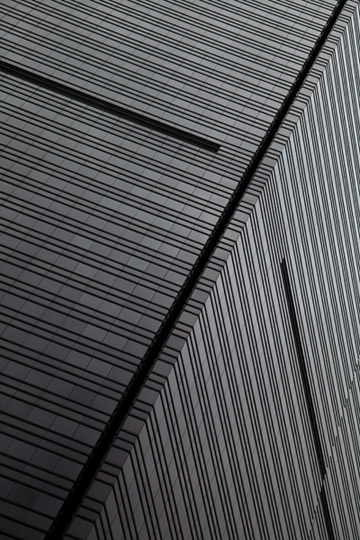 The series depicts the outside facades of the Hong Kong headquarters of the world's 25 largest banking corporations, all housed in close vicinity to one another and on the edge of one of the largest emerging markets that has become synonymous with a global power shift. Taken from street level, the images describe a highly seductive and influential world that is inaccessible and intimidating to most, and yet impacts on our everyday lives in a complex and intimate manner. The impenetrable presence of these financial institutions reflects the anonymity and pervasiveness of their actions, which were revealed so briefly to the public during the crisis. The Ministry for State Security of the former GDR, or Ministerium fuer Staatssicherheit (MfS) in German, more commonly known as the Stasi, was the official security service of East Germany and widely feared as one of the most effective and repressive intelligence agencies in the world. At its demise in 1989, it had more than 91,000 employees, with an additional 174,000 unofficial informants, approximating around 2.5% of East Germany's population. Apart from its official headquarters, the Stasi owned thousands of buildings and apartments, in almost every street of all major cities of the GDR to sustain its unprecedented machinery of control and espionage. 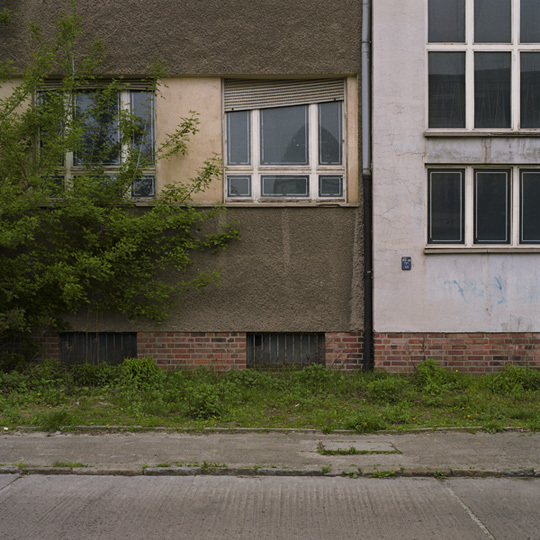 These buildings now blend seamlessly into the German landscape, partly deserted, partly used for residential, governmental or commercial purposes. Only few of them indicate the sinister history that took place behind their walls.